Jaguar leaps into the highly competitive compact premium crossover-SUV segment with its all-new E-Pace. The 5-passenger vehicle puts style, luxury, sporty driving dynamics and off-road capability before overall utility, but that may be precisely what someone moving out of a traditional sport sedan is seeking. It's not as expensive as you think it is. It's a luxury SUV without the sticker shock. It's a first edition so it has all the bells and whistles! I love it, everything is intuitive and easy to learn how to use. 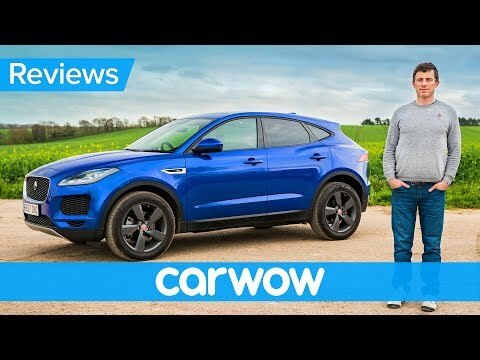 2019 Jaguar E-Pace review – Has the Volvo XC40 been beaten? | What Car? Jaguar Land Rover North America, LLC (Jaguar) is recalling certain 2018 Jaguar E-Pace vehicles. The brackets that secure the front brake hoses may not have been installed properly, allowing the front brake hoses to contact the tires, possibly resulting in a brake fluid leak. A brake fluid leak can lengthen the distance needed to stop the vehicle, increasing the risk of a crash. Jaguar will notify owners, and dealers will inspect the front brake hose brackets, replacing any that do not provide sufficient clearance, free of charge. The recall began on April 16, 2018. Owners may contact Jaguar customer service at 1-800-452-4827. Jaguar's number for this recall is H074. Jaguar Land Rover North America, LLC (Jaguar) is recalling certain 2018 Jaguar XE, XF, E-PACE, F-PACE and F-TYPE vehicles equipped with a 2.0L gasoline engine. The fuel rail end caps may leak, possibly resulting in fuel vapor or liquid fuel leaking into the engine bay. Jaguar will notify owners, and dealers will replace the fuel rail, free of charge. The recall began on March 8, 2018. Owners may contact Jaguar customer service at 1-800-452-4827. Jaguar's number for this recall is H081.